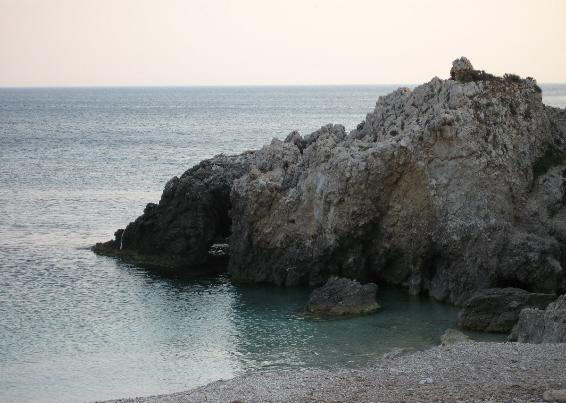 Lagadakia of Kefalonia is a pebbly beach between the villages Havriata and Chavdata of Palliki. It is a secluded bay, with diverse seabed, where various rocks have been formed by the passage of centuries in amazing formations – if you love diving or snorkeling, the seabed in Lagadakia will impress you. The white pebbles of beach are large at the top and smaller as they approach the sea, so that are not at all annoying. The waters are deep and have an amazing turquoise color, which takes in several places and other shades, because of its special bottom. Lagadakia has not trees on the beach to protect yourselves from the scorching summer sun, and as the beach is completely unorganized, you need to care for yourself indispensable. The waters in Lagadakia are usually cool (as frozen), as flow into the beach several underground springs. 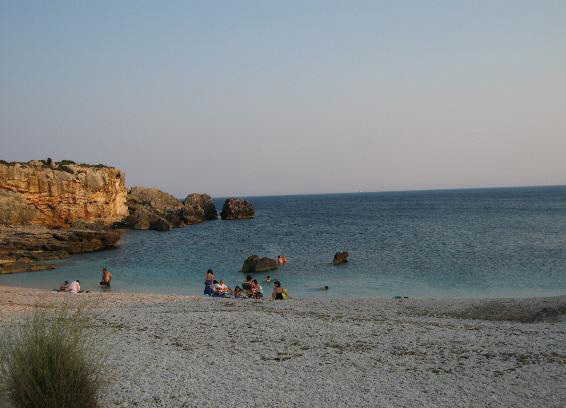 On warm summer days, the locals are those, who mostly prefer the beach, choose a calm day at sea away from the crowds!